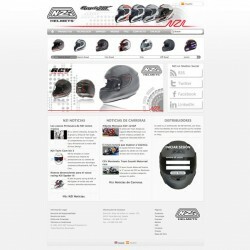 The NZI Helmets website is one of the largest projects we have done so far. Their previous website was black, all in Flash and without any SEO to speak of. 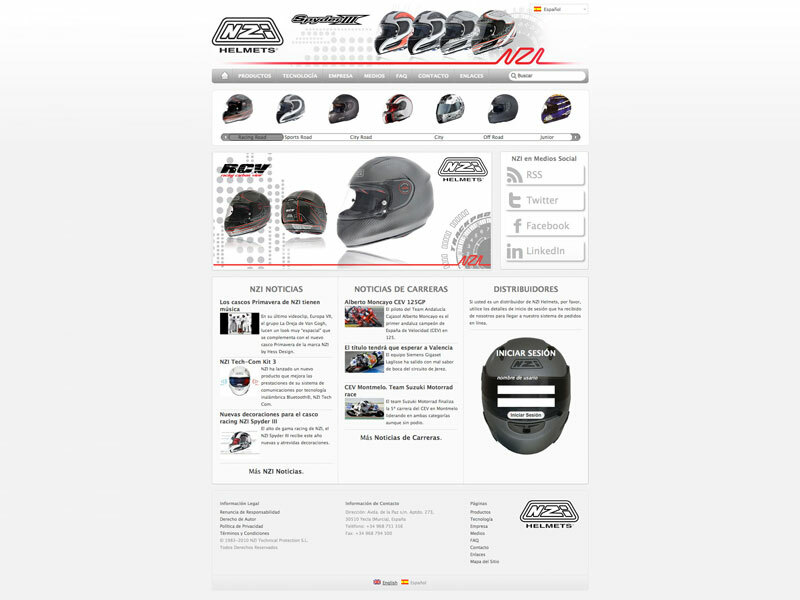 It was our job to give the entire a site a make-over and the client wished for an "Apple like" showcase of their products (motor helmets) on the home page. We initially thought we found a suitable theme, but after purchasing it - and being able to look at the coding - the decision was quickly made to completely rip the theme apart and code it from the ground up, only using parts of the original design as a base. Furthermore it has some social media integration and is fully prepared for proper SEO, although it is of course the client's responsibility to consequently use those tools. To be able to add all the additional features of the different helmets, we have used Custom Taxonomies for the products pages. All these custom taxonomies also have dedicated pages to give the customers additional information. On our advice the client switched to a suitable host and we are using one of the domains on that account as a CDN (Content Delivery Network). Together with WP Super Cache this ensures quicker loading times and delivery of the content. Although we took this project on while we were still based in Valencia, Spain, we finished it with a 7hr time difference (Beijing, China) between the client and ourselves and therefore NZI Helmets is our 2nd long distance project.